Co-Author of “Becoming World-Class”, Dr André Parker is the founder and Chief Executive of Grace Human Capital, a South African based ‘Teaching Orientated’ consultancy. GHC was founded on Dr Parker’s extensive executive experience, academic standing and success as a ‘teaching’ facilitator across Government, Parastatal and Private Sector organisations. Grace Human Capital’s uniqueness is its expertise and focus on World-Class best practices taken from the core of Dr Parker’s groundbreaking and innovative Doctoral studies in Organisation Performance and Change. 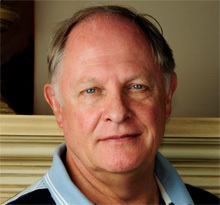 World-Class thinking permeates Dr Parker’s unique approach to facilitating organisations’ strategies which makes him one of South Africa’s most sought after strategy facilitators. Through Grace Human Capital, Dr Parker partners with several highly qualified and experienced associates in addressing a wide variety of assignments, spanning organisations across Africa. Copyright ©	2019 Dr André Parker. All Rights Reserved.